"You take two bodies and you twirl them into one/ their hearts and their bones/ and they won't come undone.” Paul Simon sings in “Heart and Bones”. A wedding is the beautiful reflection of two people, deeply in love, coming together to combine their traditions and values in way as that is as unique as the two individuals themselves. Below are just a few of the elopements With These Rings has had a pleasure to have played a role in. And important to remember, just like any wedding if you choose to elope (in Washington) you still have to have an officiant and two witnesses. Samantha and Matthew eloped at Treehouse Point with 11 guests and their dog, Furnace, the couple’s ring bearer. 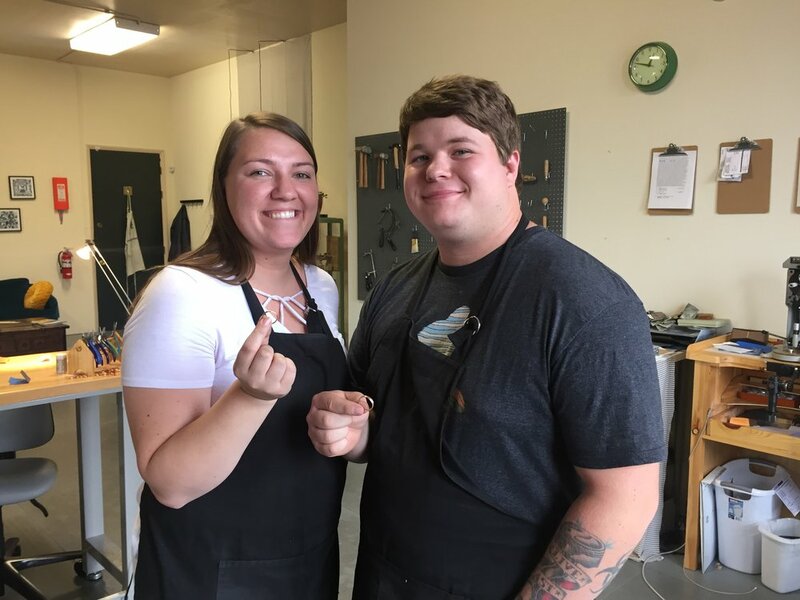 Michelle and Tim eloped in Captain Crystal’s hot air balloon then came to the studio to fabricate their wedding bands. Bianca and Tony eloped in the woods and then came to the studio to fabricate their 18k rose gold wedding bands. The Jefferson County Courthouse isn’t your average government building. This majestic example of historic Port Townsend Victorian architecture is a stunning backdrop for an intimate ceremony. 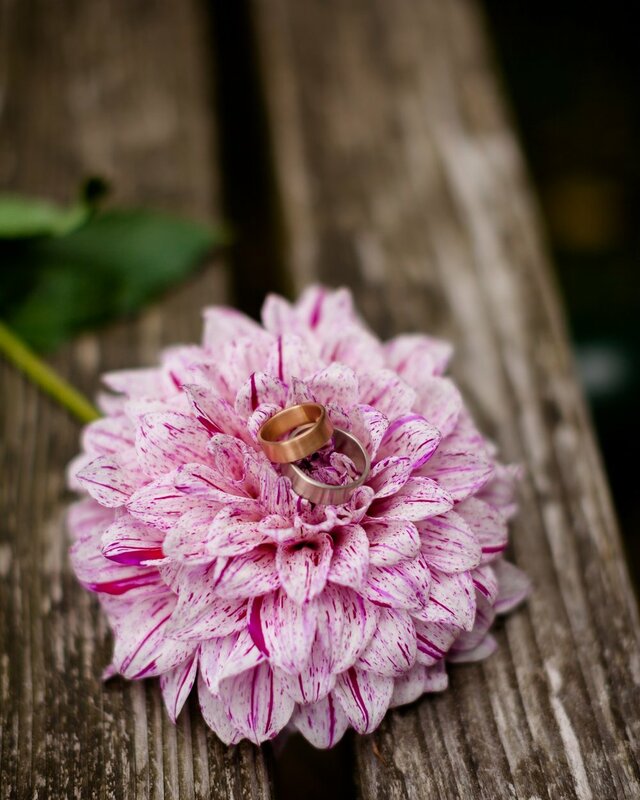 After Mark and Amy finished fabricating their rings with Stephanie, she married them at Port Townsend’s lush Chetzemoka Park!! The flowers in Amy’s bouquet were handpicked by the couple at Wilderbee Farm.